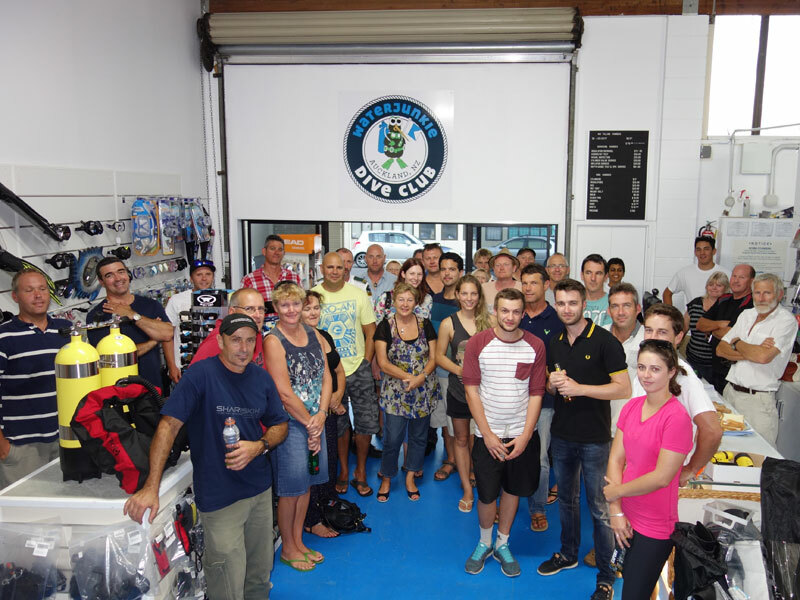 Thanks to everyone who joined us for our first Dive Club night. We counted 40+ people at one stage so we were very happy with the support. Great turn out for the Dive Club ! We started off with a relaxed BBQ and a few drinks, then Sam Campbell presented his Fiji diving video presently shown on inbound Fiji Air flights. Sam followed it up with some highlights footage of the Beqa Lagoon shark feeds. Sam Campbells Fiji video presentation. All are welcome. We look forward to seeing you there !